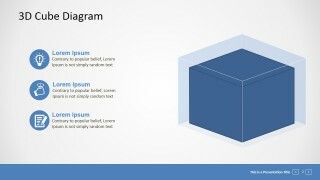 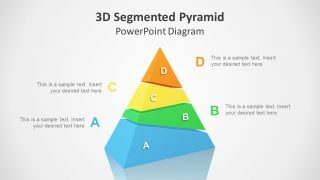 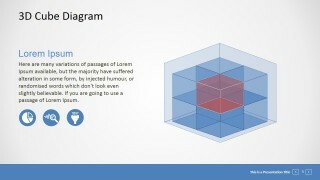 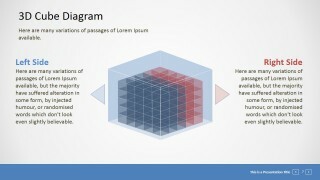 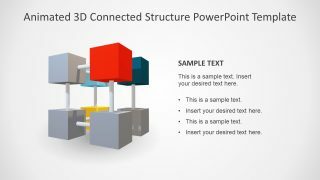 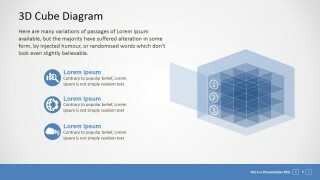 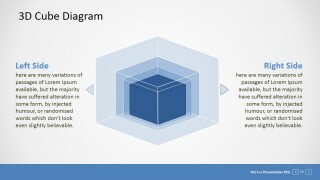 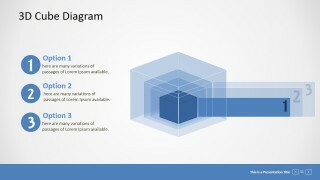 Editable 3D Cube Presentation Template – The editable 3D cube diagram is created with combined individual PowerPoint Cube shapes. 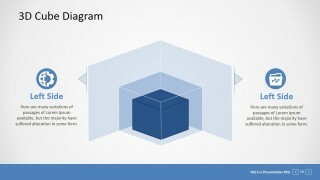 Each shapes is 100% editable allowing the user to fully customize each section of the overall PowerPoint Diagram. The effects are achieved with the combination of transparency and layer overlapping. 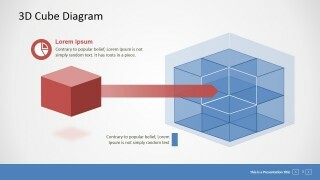 No special effects are applied in order to guarantee portability and ease of use of the PowerPoint shapes. 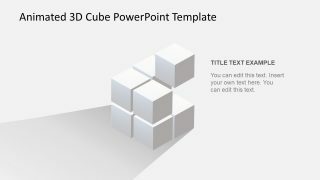 The segmented 3D Cube with perspective effect provides a professional look and feel that can be applied in different themes. 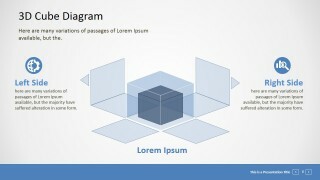 The slides are decorated with PowerPoint Icons featuring different business concepts. 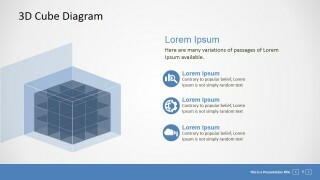 The user can modify the Icons to match specific information being described. 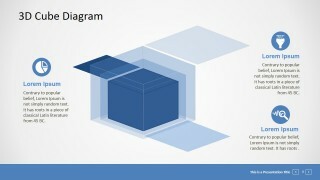 The diagram is ideal for describing topics related to sections, units or building blocks. 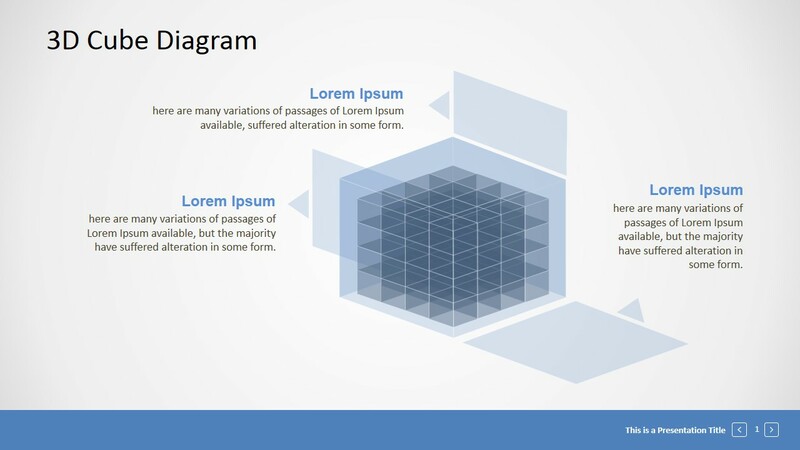 The presenter can use the metaphor of a puzzle to describe pieces of a process or an organization and include the specific content of the speech in the predefined placeholder of the presentation template. 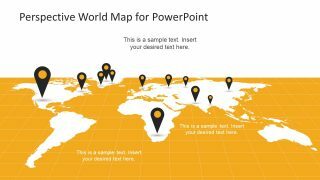 Impress your audience with easy to use professional presentation graphics and create PowerPoint decks that appeal to executives.